The Esports Administration and Entrepreneurship Program prepares students to work in the exciting and interactive business of esports. Students will learn practical business and entrepreneurial skills while developing a comprehensive knowledge of organized, multiplayer video game competitions. Courses of study include sports management, media production, event management, entrepreneurship, team and league administration, and techno-marketing. 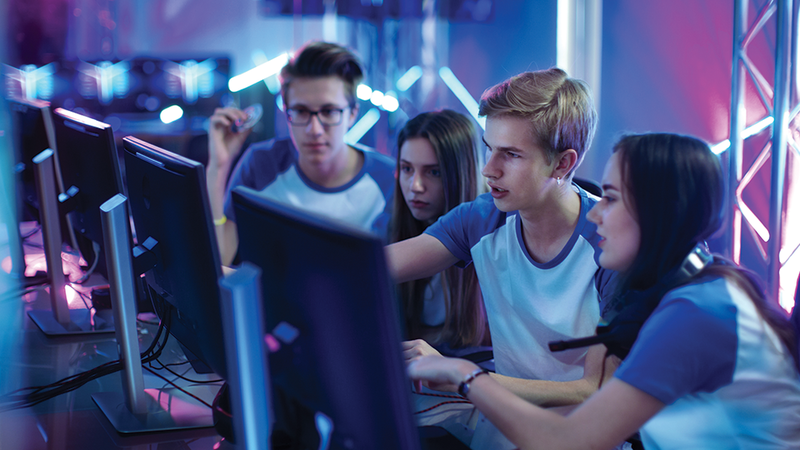 Students will learn a unique blend of esports gaming topics including the history of esports and video game culture, broadcast and content creation, online streaming media platforms including Twitch and YouTube, along with the skills necessary to excel in the burgeoning esports industry. Participation in a variety of relevant, practical learning experiences will allow students to integrate their knowledge gained throughout the program in the planning, development, and execution of large-scale competitive esports events. Students will experience, first hand, what it is like to be involved in the world of esports and esports administration.